THE Canterbury-Bankstown Bulldogs travelled to Kogarah to try and continue their positive form despite a loss against the Storm last week, but fumbled their way to a 40-4 loss at the hands of a red-hot St. George-Illawarra side lead by a clinical effort by Ben Hunt. 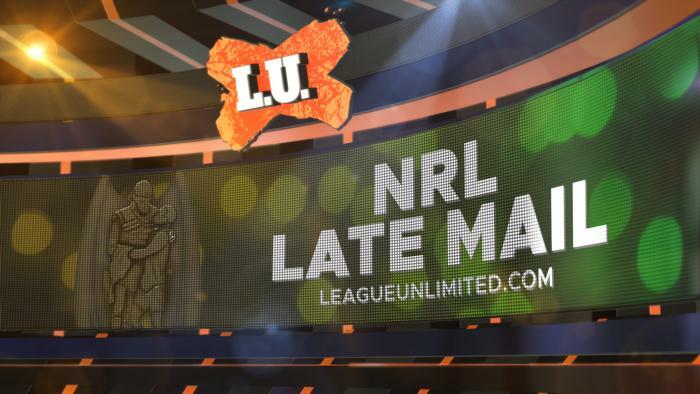 GET all the Late Mail ahead of today's game between the St George Illawarra Dragons and the Canterbury-Bankstown Bulldogs. ​THE Canterbury Bulldogs gave the Melbourne Storm a scare on their home ground, but the Storm, before 15,432 people at AAMI Park, stand alone at the top of the ladder with a 18-16 victory over the gutsy Bulldogs. GET all the Late Mail ahead of this afternoon's game between the Melbourne Storm and the Canterbury-Bankstown Bulldogs. ​THE Wests Tigers were riding high after the first two rounds of the season, but were brought back to earth by a desperate Bulldogs team that were yet to register a win. Before 15,127 people, the Bulldogs stepped up and proved that there is a spark there with a 22-8 victory. GET all the Late Mail ahead of this afternoon's clash between the Wests Tigers and the Canterbury-Bankstown Bulldogs. IN another wet and slippery game for Round 1, the Raiders travelled to the Gold Coast's Cbus Super Stadium before 9,843 diehard fans for the opening round of the season, keeping the Titans scoreless with a 21-0 victory.